This Site provides company information, trading as Ranger Rom. The elements you see, hear or read on the Site, as well as the Site's form and substance, are subject to copyright protection. In no event may you use, distribute, copy, reproduce, modify, distort, or transmit the Site or any of its elements, such as text, images or sounds, without the prior written permission of Ranger Rom. Trademarks, service marks and logos (collectively the "Trademarks") displayed on the Site are the property of Ranger Rom or are displayed by Ranger Rom with authorisation from third parties. No licence or right pertaining to any of these Trademarks shall be granted without the written permission of Ranger Rom or such other parties who may hold Trademarks displayed on the Site. Ranger Rom reserves the right to legally enforce any infringement of its intellectual property rights, including seeking criminal prosecution. The images or photographs of people or places displayed on the Site are either the property of, or used with permission of a third party by Ranger Rom. The use of these images or photographs is prohibited unless specifically authorised by Ranger Rom or the third party. Any unauthorised use may violate copyright laws, trademark laws, the laws of privacy and publicity, or any other communications regulations. Ranger Rom shall not be responsible for any damages arising out of your access to, or use of, the Site, including any deterioration of your computer or any other property, or viruses that may infect your computer equipment or any other property. While Ranger Rom uses reasonable efforts to include accurate and up-to-date information on the Site, we make no warranties or representations as to accuracy. Ranger Rom assumes no liability or responsibility for any errors or omissions in the content of the Site. Ranger Rom reserves the right, for any reason, at its sole discretion, to terminate, change, suspend or interrupt access, in whole or in part, to the Site, including its contents, features, or hours of availability without notice. You acknowledge and agree that in connection with the use of the Site you must provide for your own equipment, at your own cost, necessary to access the World Wide Web. 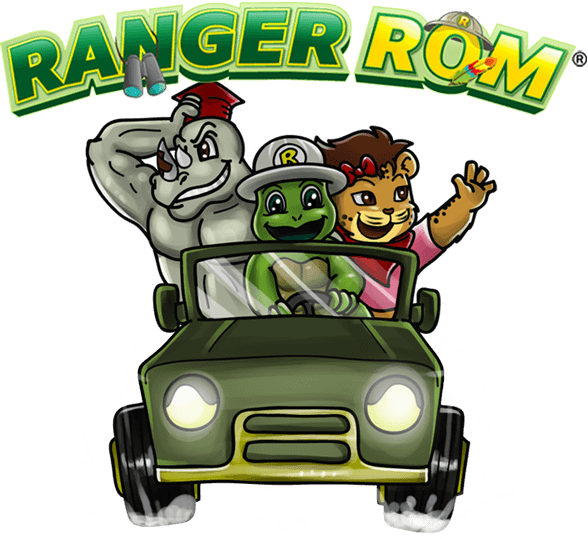 Ranger Rom seeks to help our endangered wildlife through our fantastic safari adventures and our cool boy and girl games. If you have any questions or comments, please contact us.